California Out of the Box, an interdisciplinary California history curriculum, uses story as a platform for history study and exploration. There is a big hole for a cohesive California history curriculum, so I am delighted to share with you more about this holistic approach with a strong literature component. If you love Story of the World, then I think this may be a good fit for you. It is a 36-week study with 3-5 lessons/activities each week based on 4th grade California state standards. However, it is designed with 3rd-6th graders in mind. While it was written for homeschoolers, it could be easily adapted for public/private schools. Additionally, I think it would work great for a co-op setting. The curriculum book is also the teacher’s guide. Teacher’s don’t have to dig for maps; they are in the book. Answer (keys) make grading/discussions easy. Activities are geared for multiple learning styles. Suggestions are made for further study. Picture book list included to engage younger siblings. Students will enjoy the links to videos, etc. Visual learners will enjoy looking at images on Google Earth/Images and drawing their answers. Interesting websites are mentioned such as the David Rumsey Map Collection. Historical fiction books contextualize the time period quickly and create memorable learning. Reflection questions encourage older students to draw inferences over time periods and their own lives. Timeline activities help students place events in historical order. Review activities are interspersed throughout book. Students will explore the land and habitats as they study about the history of that particular area. Exploration of the pygmy mammoth skeleton on Santa Rosa Island. After a discussion about migration to California, students will explore requirements to be a US citizen. After studying the San Francisco earthquake, students will explore a unit on geology where they will conduct rock tests. Students will create models of a Gold Rush town or a “Come to California” poster while studying the Gold Rush. Las Posadas and Dia de Los Muertos as cultural traditions are explored; students will learn how piñatas are made. Students will read stories about ways kids have advocated for natural places and explore issues they are passionate about. Habitats such as the coast, chaparral, oak woodlands, Sierra Nevadas, coniferous forests, salt marshes, desert, and grasslands in California are explored (throughout curriculum). This is a secular curriculum, so you should be able to use charter school funds. As I am a big fan of homeschooling with lots of great living books, the author sent me a free copy of the curriculum to review. I hope you found this review helpful and enjoy California Out of the Box!!! Note: If you decide to make a purchase through my blog link, Amazon will pay me a small commission for it. This doesn’t cost you anything additional. These commissions help to keep the rest of my content free. So, thank you! Is your child struggling to make friends? Are you hoping to help him? I’m happy to tell you that, just like learning to play an instrument, making friends draws upon a skill set that can be developed with knowledge and practice. The United States has seen a surge in depression, anxiety, bullying and suicides over the past few years. Last week, a 13-year-old boy in my community killed himself. He was described as not having many friends and seemed to be almost invisible to his classmates. A strong group of supportive and encouraging friends is a powerful weapon against depression, anxiety, bullying and suicide. I believe it is time to go on the offensive if your child does not have a strong cohort of friends and equip her with the tools to make stronger connections. My family has a wonderful group of friends. We make friends easily. I want to share what I have learned over the years to help any of you who want this for your children. 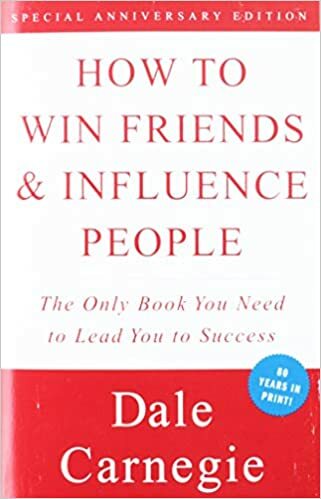 I was highly influenced by the classic Dale Carnegie book, How to Win Friends and Influence People. Since reading it in college, the lessons percolated in my mind and influenced by behavior. If your child is lacking in the friends department, I suggest you purchase this book. Read it first by yourself. Highlight the items you would like to discuss with your child. In this article, I will draw upon his book while augmenting it with additional strategies for making friends. I would also like to add that the ability to make friends and engage people will serve your child well throughout her life. Not only can it help her emotionally and in her personal life but will also help her professionally. These powerful soft skills can have a big impact on earning potential. The ability to get along well with other employees and customers is enhanced as is the ability to persuade others to her point of view. Smile–People prefer to be around happy people much more than crabby or glum people. A warm smile is one of the easiest and most impactful things you can do to draw people to you. Project confidence–People are attracted to confident people. People want to follow confident people. Look people in the eyes when you speak with them. Stand up straight with good posture. Address people by their name. Don’t speak lowly of yourself in your conversations with others. People are attracted to winners. Be someone you want to be around–Be positive, friendly and encouraging. Display enthusiasm and energy. Don’t whine or gossip. Think about the people you most like to spend time with and how they behave. Model some of those best traits. Be a good listener–People love to talk about themselves. In fact, folks who are good listeners are often considered the best conversationalists. Be an active listener who makes it clear you are paying attention by making appropriate eye contact, orienting the body in the direction of the speaker, remaining quiet, and making relevant verbal responses. As you listen, you may find some common interests. Even if it turns out you don’t have much in common, you may learn something. In fact, when you listen more and talk less your knowledge as well as insight on life is significantly expanded. 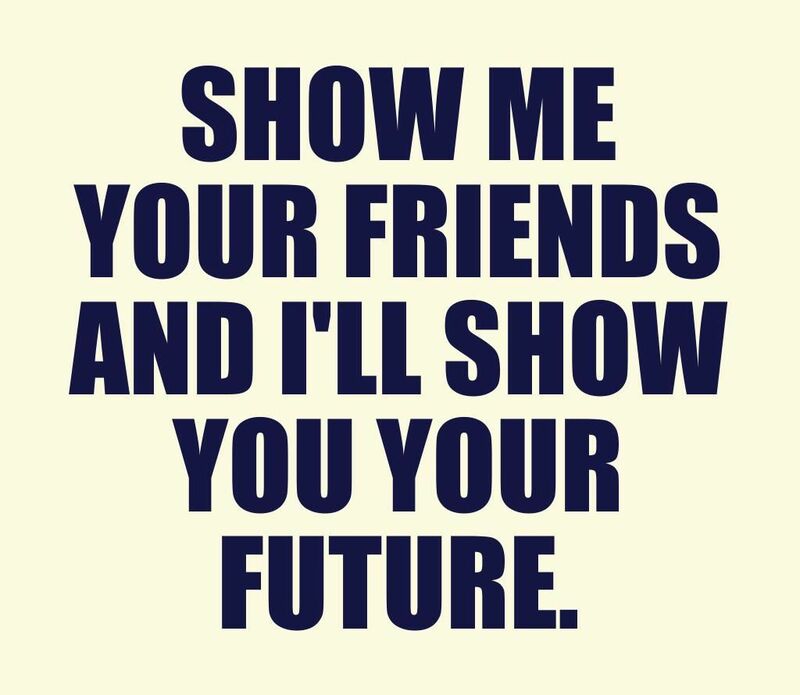 Show up–You are more likely to make friends with someone if you see him often. Go to parties, park days, field trips, hikes, sporting events, etc. Create your own events. Invite peers to your house. Use technology as a tool to bring you closer to people and not further away–Technology can be a great tool for keeping up with friends and sharing what is going on. For homeschoolers who don’t see their friends every day, it can be especially helpful. My kids have a pretty big group of friends that chat on Google Hangouts. Technology can become deleterious in building friendships when it causes you to want to stay home and not have face-to-face contact and experiences with others. Additionally, if you are out but are on your phone the bulk of the time then that hampers relationship building. Finally, uncivil behavior on social media will make it more difficult to make friends. Make the other person feel important–Become genuinely interested in people. If you find someone interesting and want to be friends with her, talk in terms of her interests. Show sincere appreciation for others. While some of these techniques may sound contrived, when you become genuinely interested in other people you will often find that life is much more interesting and there is much more to learn. Your child may consider doing some detective work before approaching a conversation. Listen to conversations amongst the friends she would like to know better. Then, discuss the conversations she heard at home. With your child, role-play joining in a conversation about those things and building upon what she heard. You may also use this tool from Parenting Science to help your child decipher facial expressions. Special consideration should be given to the children your child is pursuing in friendship. Personally, I like for my kids to spend time with kids who share most of the values that our family does. One of the benefits of homeschooling is we have greater control over who our children spend time with. As the child starts moving into his tweens, the influence and impact of friends play a greater role. Build your tribe--I wrote this article about proactive steps you can take to build a solid community of friends. Once you find families you have chemistry with, be deliberate about creating social outings and building relationships. Break the crutch of parents and siblings–Some children who have a hard time making friends stay close to their mom or siblings at social situations with other homeschool kids. This actually inhibits them from engaging with other kids and making friends. When you go to homeschool events, be mindful of this. Try being out-of-sight so your child can’t cling to you or her sibling. When possible, sign your children up for homeschool classes or activities to meet other homeschoolers– Most of our best friends we met at our homeschool co-op six years ago. We have continued the co-op each year and most of our homeschool activities are done with our co-op besties. If there is not much in your area, build something–even a weekly park day should work. You know the saying, “If you build it, they will come.” A local homeschool Facebook group is a great place to get started inviting people. Sign your child up for sports or other after-school programs–My kids are quite active with sailing. The majority of the kids they sail with are not homeschoolers. However, they’ve made some wonderful friends who they greatly enjoy spending time with and adventuring together out on the water. Additionally, many life skills are developed when playing sports. One side note I would like to mention is that waiting tables in high school and college helped me tremendously with my people skills. If you want to make decent tip money, you have to learn to smile, be friendly, make people feel important, project confidence, be positive–so many of the skills I talked about above. If even for just six months, the benefits of working as a waiter can be tremendous on an individual’s social skills. While your child may not yet be old enough to wait tables, it is certainly something to keep in mind for the future. I hope this article is a springboard to get you thinking and help your child to start making good friends. If you see that I missed something, please send me a message. This information is intended to help people. Winston Churchill said, ““Those who fail to learn from history are condemned to repeat it.” Communism is the bloodiest form of government in the history of the world with more than 100 million people killed under Communist regimes. This past year we did a fairly extensive study on Communism. I wanted to share some of our favorite books if you have an interest in exploring this topic in your homeschool. Seeing the impact Communism has had on our own history in the United States and, to a greater degree, many unfortunate places in the world, I found it vitally important to spend a substantial amount of time immersed in this topic as we covered 20th and 21st-century history. The Family Romanov: Murder, Rebellion and the Fall of Imperial Russia by Candace Fleming is an absolutely gripping narrative of Russia’s last royal family. My kids especially enjoyed learning about the Romanov children and Rasputin. This non-fiction work is anything but dull. We started here because we wanted to better understand the events that led to the Communist Revolution. Breaking Stalin’s Nose by Eugene Yelchin is a simple yet powerful story of a 10-year-old boy who has always been devoted to Communism, the Communist Party and Comrade Stalin. His world is shaken after his faithful father is arrested. This compact novel also features dramatic black-and-white pictures. Angel on the Square by Gloria Whelan is the first in a quartet series of Communist Russia. It shows both sides of the Russian Revolution opening in 1913 when this aristocratic girl goes to live with the Romanov family because her widowed mother is lady-in-waiting to Empress Alexandra. We get to know the Romanovs in a warm and personal way and see what a doting father Nicholas II is to his children. However, she also witnesses the exploitation of workers in the cities and the terrible living conditions of peasants. Meanwhile, war is spreading throughout Europe and Russia is collapsing. We give this fast-paced and absorbing book our highest review possible. The Impossible Journey by Gloria Whelan is the second in the quartet series of Communist Russia. This book, which opens in 1934 in Leningrad, a generation after the Communist Revolution, is every bit as engaging as the first. The children of the heroine and hero in Angel on the Square are alone and desperate after their father is arrested and mother is exiled to Siberia. They are determined to find their mom and embark on a 1,000-mile journey in hopes of reunification. Filled with adventure and suspense, the children encounter many obstacles and confrontations and even a beautiful experience with the Samoyed tribe in the Siberian wilderness. 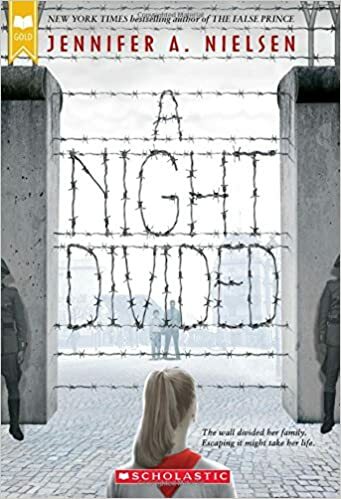 A Night Divided by Jennifer A. Nielsen is an engaging, fast-paced book about the Berlin Wall from the perspective of twelve-year-old, Gerta. When the Wall was erected, her father and brother were on the other side looking for work in West Berlin. This left the family divided. We encounter Gerta’s struggles along with her other brother, mother and others surviving in East Berlin as well as their persecution in this Communist city controlled by the Soviets. One day she spots her father on a viewing platform giving her clues to tunnel beneath the wall. This is risky because, if they are caught, the consequences are death. We loved this book. It is highly recommended at any time but especially if you are studying the 1960s and Communism. Red Scarf Girl, a memoir by Ji Li Liang, takes the reader to the destructive turmoil of the Cultural Revolution in 1966 led by Chairman Mao in Communist China. Twelve-year-old Ji Li is an accomplished student and athlete and joins her classmates in frenetically denouncing The Four Olds: Old ideas, old culture, old customs, old habits. She witnesses relatives, teachers, neighbors and friends publicly humiliated and tortured but still remains fervent in her Communist ideology. Her family eventually becomes reviled due to their wealthy family background including her grandfather being a landlord. Friends and neighbors turn on them, and they are constantly afraid of being arrested. After her father’s imprisonment, Ji Li is forced with a big decision. This autobiography received multiple awards including Publishers Weekly Best Book. ALA Best Book for Young Adults and ALA Booklist Editors’ Choice. Mao’s Last Dancer (Young Reader’s Edition) by Li Cunxin is the riveting autobiography of a peasant boy born into extreme poverty in 1961 just before the Cultural Revolution. Despite his poverty and witnessing the brutality of the Mao regime, he revered Chairman Mao and Communism. He details life in school that is focused more on Communist indoctrination and Mao worship than the basic educational tenets of reading, writing and arithmetic. At the age of 11, Li was selected from his village by delegates of Madame Mao’s art program to study ballet at the Beijing Dance Academy. The opportunity opens many unimaginable doors including a cultural exchange in Houston with the Houston Ballet in 1979. While in Texas, he begins to realize much of what he was told about the USA was a lie. He loves his taste of freedom in America and is in awe of such abundance and modernity. The story is of his defection, the climax of the book, is nail-biting! Bill AB2926 was brought to my attention. If it were to pass, it would be a step backward for education because California homeschoolers are on the cutting edge of educational innovation and customized learning. The ecosystem of classes, programs and enrichment opportunities is enormous for California homeschoolers. With such a tremendous infrastructure in place, California homeschoolers have created a thriving and dynamic place to receive a 21st- century education and explore one’s passions. Personalized learning, also referred to as individualized learning, is all the rage in education circles these days. Unfortunately, when we hear about this in a conventional school setting, this usually just refers to adaptive computer programs. On top of that, many of those adaptive computer programs are not very effective. Homeschoolers have truly been personalizing their children’s learning for years because we are free from bureaucracy and a one-size-fits-all curriculum. Parents know their children better and love them more than any other person who wants to get involved in their education. Homeschool parents spend tremendous time and energy in researching and finding the optimal education for our kids. We can be most successful with a hands-off approach, so we can effectively tailor our children’s education to best meet their needs. Homeschoolers shine because we aren’t required to follow a government standard that doesn’t meet the needs of most children on an individual level. Please join me in supporting the California homeschool community and all we have accomplished. We respectfully ask you to withdraw AB2926 which would stifle homeschool families who are true educational entrepreneurs. We are nimble and adaptive to our children’s needs and learning opportunities because of our freedom to be educational entrepreneurs. California prides itself on being progressive. Let us continue to be progressive with cutting edge, personalized education and a role model for other educators around the nation and world. Please withdraw AB2926 and let homeschoolers continue to innovate. Are you looking for homeschool curriculum ideas for your 9-11- year-old? We are eclectic homeschoolers and try to pull from the best of each homeschool philosophy as well as the best publishers. Because homeschoolers often don’t fit into just one grade level at any given time, you may consider the curriculum below for your 4th/5th grader and even 6th grader. We use two math programs because they are completely different offering my daughter alternative ways to look at arithmetic. She does two pages of Math Mammoth and one page of Horizons Math each day. 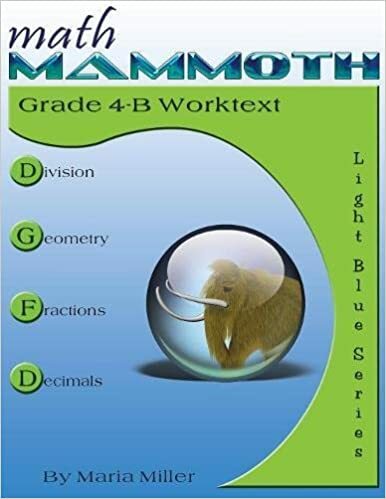 Math Mammoth, by Dr. Maria Miller, is a mastery-based curriculum that focuses on conceptual understanding, number sense and mental math. While mastery- based is excellent so the students can explore a concept in-depth, I do not feel comfortable without the repetition of a spiral program.You may consider purchasing the color version for just a few dollars more. Horizons Math is more traditional. I like that is a spiral curriculum so concepts continue to be reinforced. 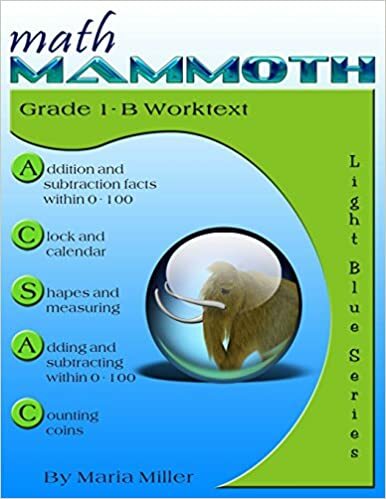 Each set of exercises are in short chunks, so it does not feel cumbersome like some other more tedious math programs. Additionally, the colorful pages and puzzles make it very visually appealing. My daughter uses MobyMax as an online math supplement. About 3 times per year, she cycles through XtraMath to ensure she remains fluent in math facts. She sails through it faster and faster each cycle. 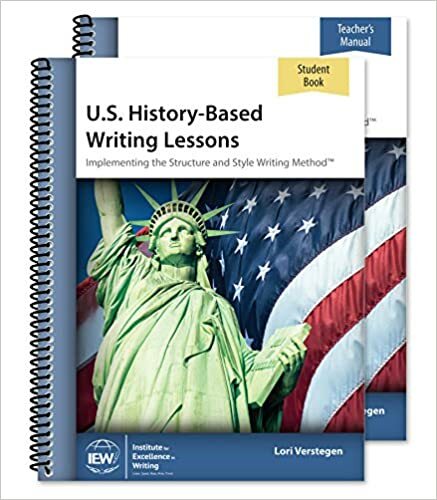 We use IEW’s U.S. History-Based Writing Lessons. While enjoying tea together, I sit down with my 10 and 11-year-old children and do our IEW. You kill four birds with one stone using this program as it covers history, literature, grammar, and writing composition. IEW develops strong writers. I have spoken to multiple homeschool kids who have found writing in college a breeze, and they attribute that to their IEW training. It is scripted making it easy for parents to teach. NaNoWriMo Junior Writer’s Program provides resources and encouragement for young authors to pen their own novels. I taught this class at co-op with the free curriculum during our fall semester. This spring, I am using the IEW Student Resources Notebook to help the writers edit their novels. My kids love to read and spend a great deal of time engaged in pleasure reading. However, I do have a bookshelf from which they can choose for their 25 minutes of daily required reading. I load up on great books at the library, so they always have many choices. After completion, they email me a summary of what they read. It is only about 4-5 sentences. It also serves as a record of what they are reading. 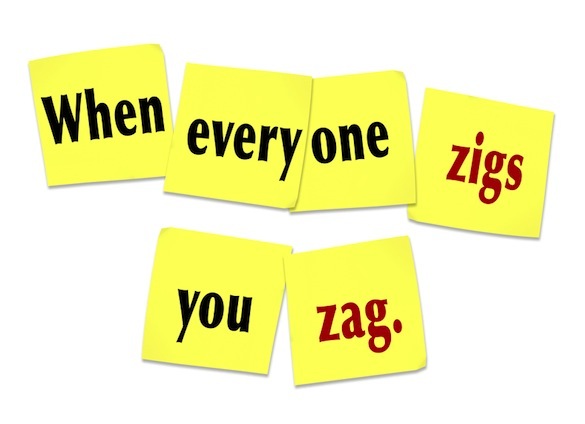 Daily Grams are an efficient and painless way to learn grammar. It is short and to the point. 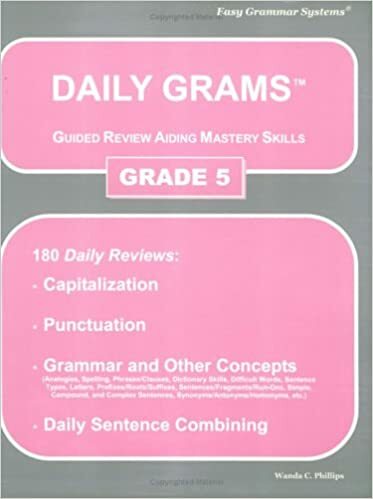 There is a corresponding text to which you may want to consider alongside your Daily Grams called Easy Grammar. However, my children do not enjoy it. I feel our time is better spent with me editing their writing as well as using IEW. One of my favorite things about homeschooling is reading aloud to my children. It is a tremendous bonding activity for our family as we go on so many book adventures together. During snack and meal times, I read from a variety of great books. The morning includes most of our non-ficton. Later in the day, we shift to novels. 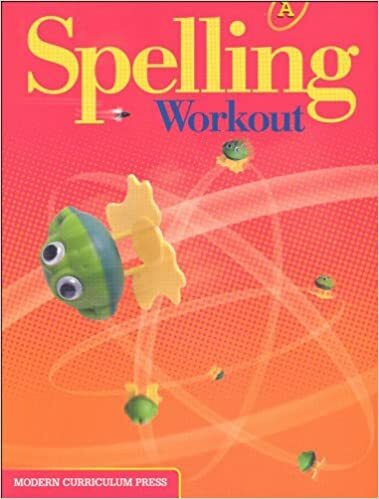 For spelling, we are using Spelling Workout D. However, my kids also love this well-done spelling website. We are big fans of living books, field trips and travel for our history studies. We follow the classical method of studying history chronologically. I highly recommend Story of the World audiobooks. Additionally, I appreciate the many wonderful book lists from Charlotte Mason inspired groups. We explore science out in the world. We are in a nature group that gets together weekly and learns from experts such as park rangers, naturalists, marine scientists, and farmers. Additionally, my daughter takes a physics/chemistry class at our co-op, and we all read the material together during the week. Co-ops are great because they can spend the entire class period doing experiments to reinforce what we learned during the week from our reading. My kids also took marine science at a facility on the Pacific Ocean for the fall semester. Hands-on is best, in my opinion. We believe music and sports are important aspects of education. My kids race sailboats, and we play basketball together as a family every Saturday morning. They also play woodwinds and piano. We do other extracurricular activities but believe at least one sport and one instrument are non-negotiable. I hope you found this post useful if you are homeschooling or considering homeschooling your 4th/5th grader. You can see that you can give your child a quality education spending very little money. Note: My daughter is actually in 4th grade by her birthday. Due to homeschooling, she has been able to accelerate her learning and use 4th-7th grade curriculum. Is it Time to Shake Up Your Homeschool?